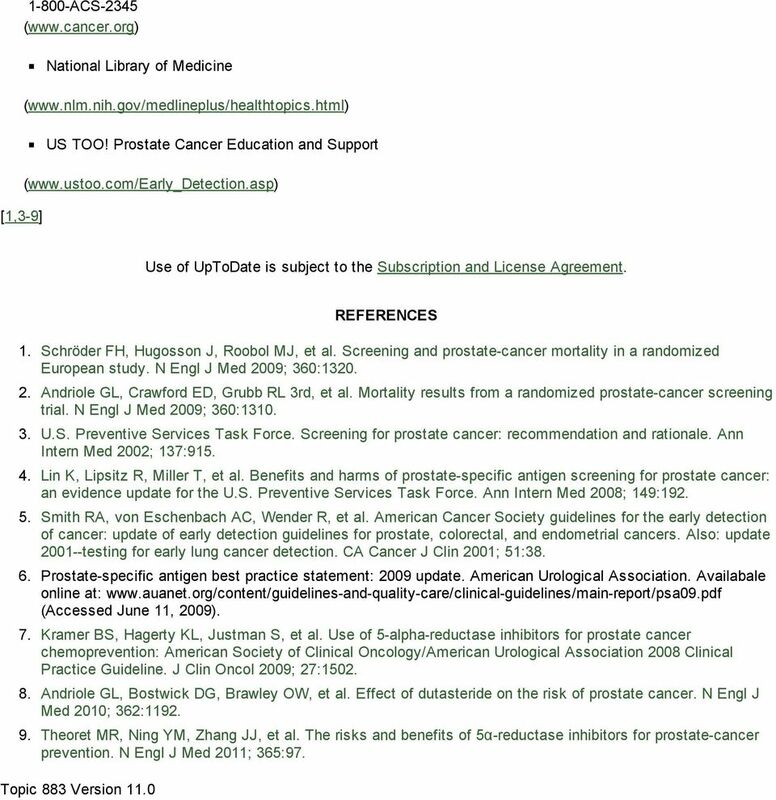 Download "Official reprint from UpToDate www.uptodate.com 2013 UpToDate"
6 GRAPHICS Prostate gland This drawing shows the male anatomy and a close-up of the prostate gland. 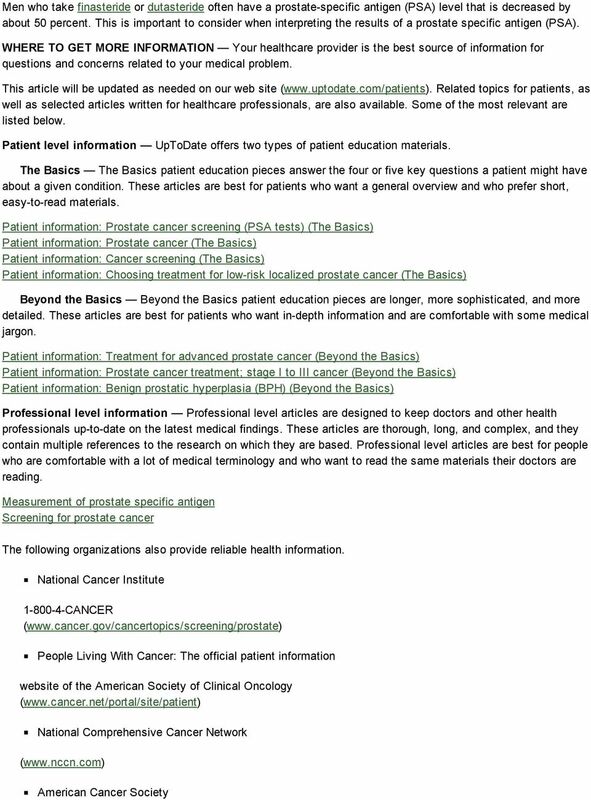 Prostate Cancer Information and Facts Definition Prostate cancer is cancer that starts in the prostate gland. The prostate is a small, walnutsized structure that makes up part of a man's reproductive system. Science Highlights. To PSA or not to PSA: That is the Question. 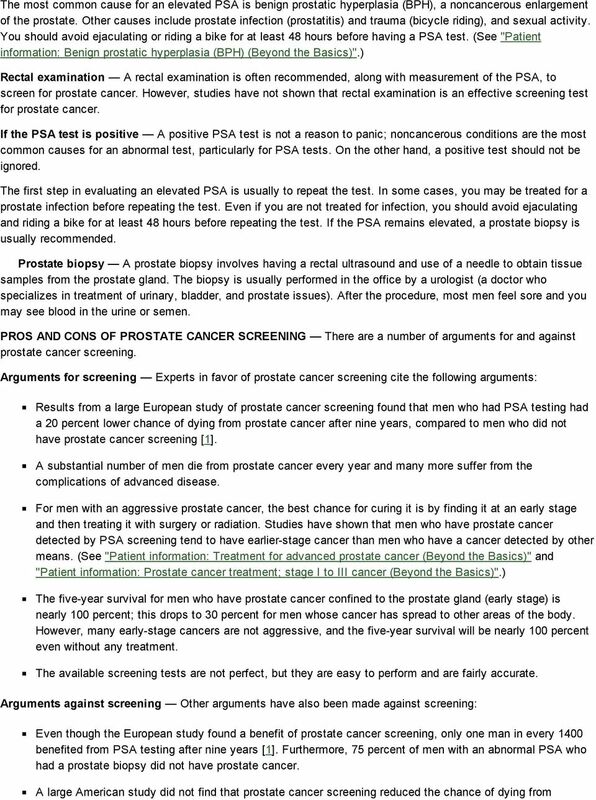 PSA Testing 101. Stanley H. Weiss, MD. Professor, UMDNJ-New Jersey Medical School. Director & PI, Essex County Cancer Coalition. weiss@umdnj. 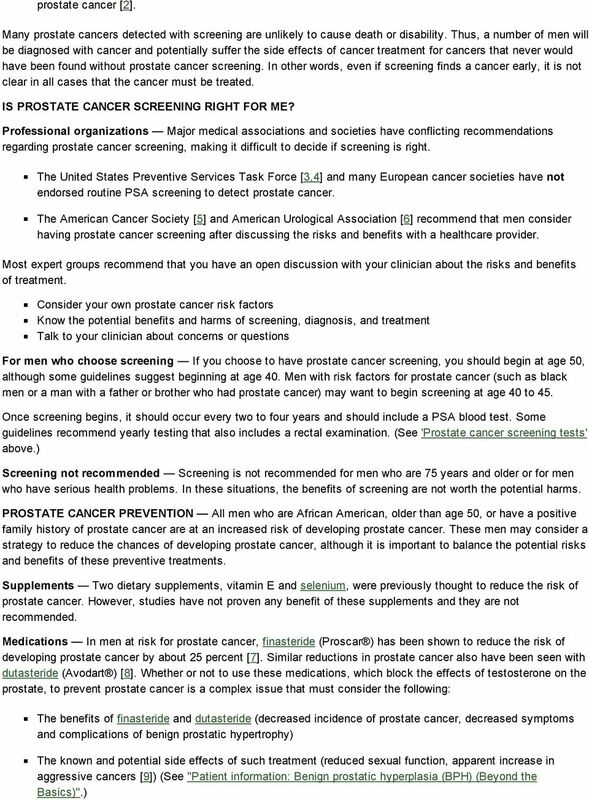 PSA Screening For Prostate Cancer: Yes Or No? 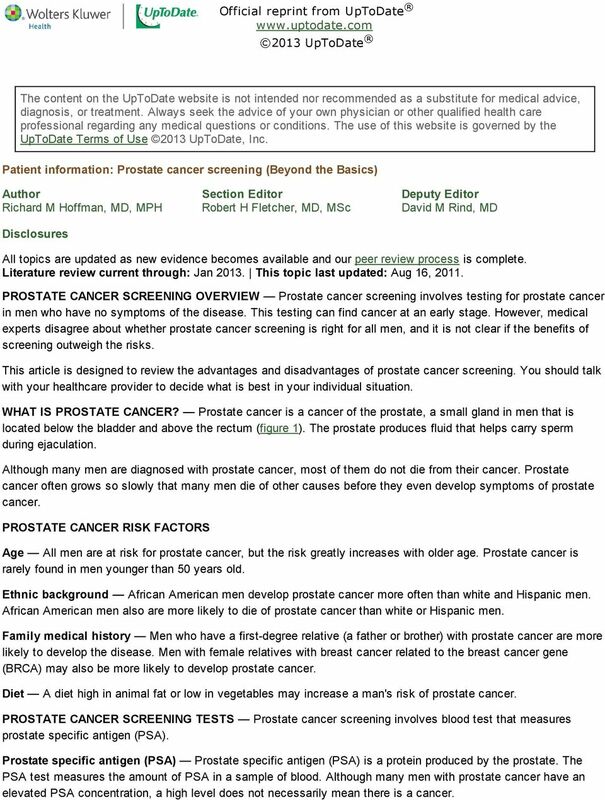 The United States Preventive Services Task Force issued a recommendation that healthy men should no longer receive PSA testing as part of routine cancer screening. Virtual Mentor American Medical Association Journal of Ethics January 2011, Volume 13, Number 1: 10-15.